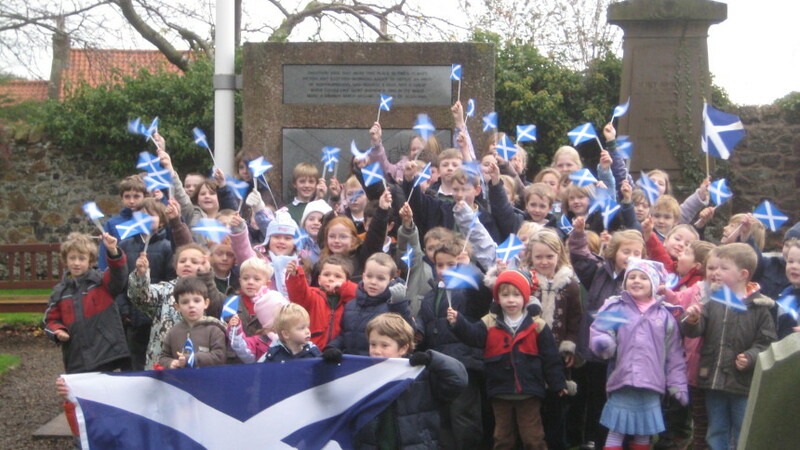 The Scottish Flag Trust encourages school class visits to Athelstaneford – birthplace of Scotland’s flag. 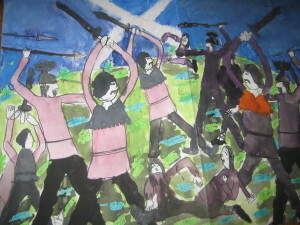 Four Fact Sheets entitled The Flag of Scotland; St Andrew – Scotland’s Patron Saint; Flags of the World; and Proper Use of the Saltire. Four Task Sheets with questions for children to complete as they visit the Heritage Centre, the Churchyard and the Church. Three Teachers Sheets setting out background information and site details, together with answers to the Task Sheet questions. Each of the School Pack sheets can be downloaded from this webpage. In addition, hard copies of the full School Pack in a presentation folder can be made available on request at no cost – contact The Scottish Flag Trust by email at info@scottishflagtrust.com. A school visit to Athelstaneford can be undertaken either on its own, or in conjunction with a visit to another nearby attraction such as the Museum of Flight or the Scottish Seabird Centre. The Heritage Centre is open daily from 9.00 until 18.00 from 1 April until 31 October, and on 30 November – St Andrew’s Day. There is ample parking in Athelstaneford Main Street, and there are toilet facilities on site. A visit can take anything between 20 minutes and two hours. While the emphasis has been on primary school visits, the Flag Heritage Centre is likely to also be of interest to secondary pupils. Moreover, the recent introduction of the audio-visual presentation in multilingual format at the push of a button (Spanish, French, German, Italian, Polish and Gaelic) should also be of interest to foreign language students.